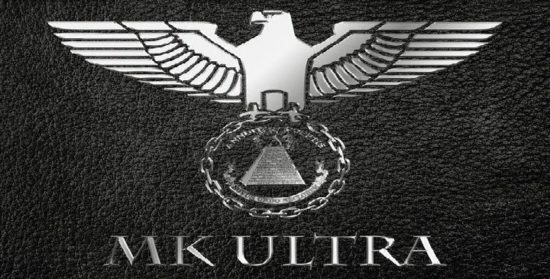 Operation Paperclip Was Heavily Involved In OSS-CIA MKULTRA Programs, Not Space! Near the end of WWII, the Nazi’s realized that they were in trouble. They were losing the war and desperately needed to turn the tide in their favor. In the late 1930’s they recalled thousands of doctors, engineers, researchers and others from the front line who could help invent new weapons to win the war for Germany. However, by about 1938 it was pretty apparent that the Germans were not going to win the war and by then they had all of their top scientists working together in one place. The top US spies relayed this info to US intelligence and a secret plan was formulated. To objectively ascertain the following, one may need to re-examine preconceived ideologies relating to the dualistic nature of mankind. Resolving the philosophical question of whether we are inherently good or inherently evil is tantamount in shaping our perception of reality; specifically, the spiritual variable within the equation of life. The Anglo AllianceBy the 19th century, Great Britain and Germany were recognized as the primary geographic areas of Illuminati control. It then should be of little surprise to know the first work in Behavioral Science research was established in England in 1882, while much of the early medical and psychiatric techniques involved in mind control were pioneered at the Kaiser Wilhelm Institute in Germany. Top SS Nazi officer Heinrich Himmler, was in charge of a scientific project called Lebersborn, which included selective breeding and adoption of children, a peculiarly large number of twins among them. The purpose of the program was to create a super-race (Aryans) who would have total allegiance to the cause of the Third Reich (New World Order). Sadly, many of them did not survive the brutality. Concurrently, “brain-washing” was carried out on inmates at Dachau, who were placed under hypnosis and given the hallucinogenic drug mescaline. During the war, parallel behavioral research was led by Dr. George Estabrooks of Colgate University. His involvement with the Army, CID, FBI and other agencies remains shrouded in secrecy. However, Estabrooks would occasionally “slip” and discuss his work involving the creation of hypo-programmed couriers and hypnotically-induced split personalities. Great article but where did you get the dates from? WWII wasn’t declared until 1939 so how could the war have been lost by Germany in 1938?